In short, contrary to repeated assertions, Medicare is not broke, going “bankrupt” or running out of funds,. 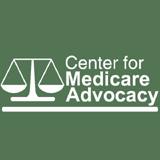 Further, Medicare provisions in the Affordable Care Act (ACA) have improved Medicare’s economic outlook − extending the solvency of the Medicare Trust Fund by 8 years. Rationing Medicare & Health Care? The budget released on April 5th by the House of Representatives purports to benefit Main Street Americans. Once again we’re hearing proposals to “reform” Medicare and to cut the federal deficit. These plans are not about reform or even dedicated to deficit reduction. They are about a long held desire to do away with Medicare, shifting costs to American families who are already struggling. Newt Gingrich said in the 1990s that he might not be able to eliminate Medicare, but he could watch it wither on the vine. This time, the House of Representatives’ Republican budget actually does eliminate Medicare, replacing it with vouchers to purchase private insurance. This proposal is reckless and extreme. As with Medicare Advantage and Medicare Part D, it will cost beneficiaries and taxpayers more than the traditional Medicare program. With a capped annual voucher to purchase insurance, Medicare beneficiaries will pay more out-of-pocket, get less coverage, and have less access to health care. Sounds like rationing to us.